Bob McCarthy first joined the Boys & Girls Club at the age of 7, when his father brought him and his brother to their local club in Springfield, Mass. Now serving part-time as the interim director of the Boys & Girls Club of Geneva, McCarthy never really left the Club – he has served the organization in a number of professional capacities throughout his 30-year career. From locker room attendant to program director, McCarthy served his childhood club in a variety of roles. After graduating with a B.S. in Physical Education from Springfield College, he went on to work as executive director of the Holyoke Boys Club (Holyoke, Mass.). He has since served as executive director for the organization at clubs in Albany, N.Y., and Indianapolis, Ind., and each had its unique challenges and opportunities. McCarthy also shaped each in different ways – leading a $4.5 million capital campaign in Indiana and establishing Boys & Girls Clubs satellite units in public housing complexes in Albany, for example. He also has consulted for a variety of youth services organizations, including various chapters of the BGC, and the United Way of Rochester. Currently, he serves as a consultant and trainer for youth program quality intervention for the Greater Rochester after-school Alliance, as well as a youth program assessment master observer to the Children’s Institute Inc., and a facilitator of parenting skills workshops and teen programs for the Cooperative Extension. McCarthy served the BGCG previously, as a consultant to the Club and to the committee that established the GCC. The opportunity to work with the organization again was something he looked forward to. 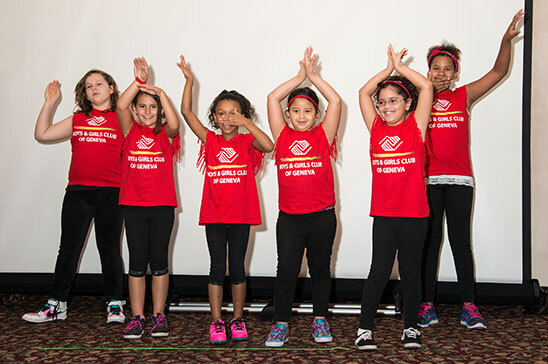 Goodman Street and Teen Center Club members performed a dance routine at the Annual Dinner as one of the ways they thanked donors, volunteers and honorees for making a difference in their lives. The Boys & Girls Club of Geneva (BGCG) held its 18th Annual Dinner on Thursday, October 16 at Club 86, presented by Vance Metal Fabricators. As part of the event, the BGCG and Geneva Community Center honored Pablo Falbru and Ed Wright as 2014 Visionaries of the Year; both are members of the Board of Directors of the BGCG. 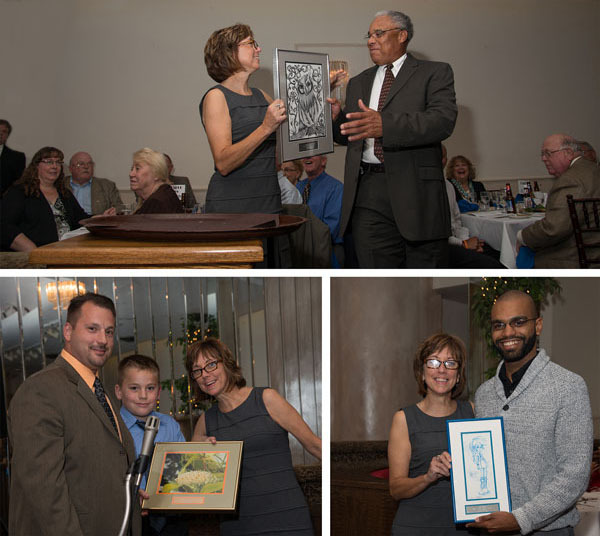 Janet VanLone was named 2014 Volunteer of the Year in appreciation for her selfless service to the BGCG and GCC and Ciccino’s Pizzeria and Restaurant was recognized as the 2014 Business Partner of the Year. 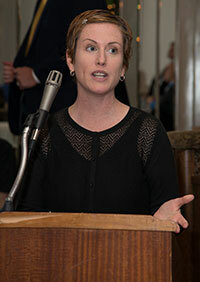 Raised in Geneva, N.Y., Falbru is a club alum and current board member. After graduating from Geneva High School, he attended Finger Lakes Community College as a music and liberal arts major. He then continued his studies in music business and audio engineering at The New England Institute of Art in Boston. After six and a half years collaborating and experiencing the artists and thinkers of Boston and beyond, he returned to Geneva to build what is now known as the UG Collective, a nonprofit organization focused on the creative and professional development of regional artists, and the promotion of community engagement through service. Kelly Bradley Presents award to Top: Ed Wright , Left: Ciccino’s Pizzeria and Restaurant, Right: Pablo Falbru. 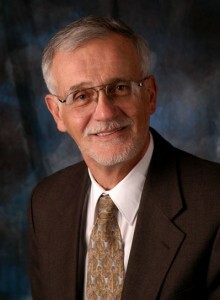 Wright’s three-decade career in education has included work as an elementary and middle school teacher, elementary school principal, and assistant superintendent for curriculum and instruction. After retiring from public school education, Wright served 13 years with The McGraw-Hill Education Corporation as the national consultant for Breakthrough to Literacy, the regional vice president for all K12 educational programs, and the northeast district manager for all intervention programs. A lifetime member of the National Alliance of Black School Educators, presently, Wright is coaching six administrators at East High School in Rochester as they prepare for the University of Rochester to take over administration of the school in 2015. He holds a B.S. in elementary school education from Lock Haven University, an M.E. in educational administration from SUNY Brockport, and a CAS in education from SUNY Brockport. Formerly a middle school special education teacher, VanLone currently teaches a Personal Empowerment course, a Collaboration and Management course, and has supervised student teachers for Hobart and William Smith Colleges. She graduated from Shippensburg University and began her career as a recreation therapist for Catholic Social Services where she worked with “at-promise” adolescents living in group homes throughout the city of Philadelphia. She then earned her teaching certification and master’s degree in special education at West Chester University. Since moving to Geneva in 2007, she has served as a board member for Happiness House and Geneva Reads, and she volunteers as a site council member at West Street School. In 2010, VanLone started the “Reading Buddies” program at the Goodman Street location of the Boys & Girls Club, with the hope of reducing summer reading regression and providing children a positive experience with a community volunteer. The program has been adopted by Geneva Reads and is supported by the children’s room at the Geneva Public Library. Currently, she is working toward her Ph.D. in Teaching and Curriculum at Syracuse University. Since 2011, Ciccino’s Pizzeria & Restaurant has been the partnered food vendor for The Boys & Girls Club of Geneva’s annual Bowl-A-Thon. Ciccino’s Pizzeria & Restaurant, founded by the Franzone Family (whose origins are from Sicily, Italy) opened its doors for business on May 29, 1996 at their current corporate location at 22 E. Main St. Waterloo, N.Y. Since 2011, Ciccino’s has been the partnered food vendor for The Boys & Girls Club of Geneva’s annual Bowl-A-Thon. Members of the Franzone family attending the BGCG Annual Dinner were Salvatore Franzone, president, CEO and founder, along with his wife Kimberly, daughter Kaitlyn, and sons Salvatore and Nicolo. This September, Geneva celebrated the five year anniversary of the opening of the Geneva Community Center, a space that has served as a dynamic resource for all generations of residents. 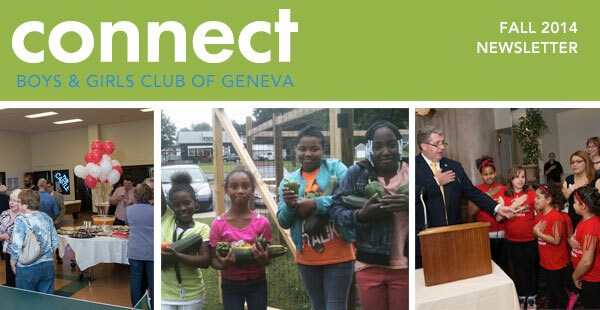 “We knew Geneva was unique in the area for having no community center, and we held meetings with people in the community to get ideas for the spaces we needed to create in the center to serve the community,” explains Mark Venuti, former member of the board of directors of the Boys & Girls Club of Geneva and among those who worked to establish the center. These efforts resulted in a building that houses senior citizen craft and lounge rooms, a computer lab (the “learning center”), an art room, a recording studio, a versatile theater space that will seat approximately 125 in various configurations, a teen lounge, a full-size gym, and a teaching kitchen or life skills room. Outside, the property features a park-like environment with walking trail and gardens used for youth programming through the national organization Roots and Shoots. Over the past five years, the community has made the GCC its own in more ways than organizers could have predicted. This includes through such events as dance recitals, corporate trainings, community or organizational meetings, a driving school, parties and bridal and baby showers, as well as Thrive to Survive Workshops, Baby College, pottery classes, and photography classes. Annually, the GCC his home to the Solar Fest, Geneva Theatre Guild productions, Geneva Reads Bookfest, AAU basketball tournaments, and hosts the Mexican Consulate’s yearly visit. However, a number of activities take place more often, including weekly Zumba, Pickleball. Geneva Senior Citizen’s Club programming, roller derby, Geneva recreation soccer, and Geneva recreation volleyball. Geneva Community Radio is also based in the building and streams programming via the internet. Art work by from left to right: Brionna Carter, Aaliyah Barnes and Brandon McLamore. Art has been an important component of the BGCG’s programming through the years and last spring, the Club was fortunate to welcome Kevin Carr as arts coordinator at the Teen Center. Carr earned his Bachelor of Fine Arts from Alfred University. His undergraduate program focused on very diverse mediums and Carr has brought that same diversity to his classroom at the GCC, introducing paint, casting, clay and weaving to teens. He runs an after-school program every day from 3 to 6:30 p.m., with 10 to 20 kids participating any given night. Carr always prepares a project that is intended to be completed over a period of time for those who are looking for a long-term experience with art, as well as a short-term project that can be done in one night. Both share the same theme and educational concept. The job at the BGCG is something Carr never dreamed of but it fit his interests exactly. He first majored in art education, but decided to focus more exclusively on art so he could immerse himself in its disciplines. Despite dropping the education portion of his major, he always worked with youth. He spent summers in Connecticut at Buck’s Rock Creative and Performing Arts Camp, and worked at the YMCA in Canandaigua for a little more than a year and half. It took some time for the teens to realize Carr plans to stay with the Club for a duration – a hurdle he said he had to overcome before they were willing to spend time in his room. “Now, I have a good group of regulars in almost every day and can get them to try new things – and create beautiful things,” he says. The Boys & Girls Club of Geneva and Geneva Community Center offered a number of programs and opportunities to community members of all ages during the summer months. Both the Goodman Street Center and the Teen Center saw high attendance, with a daily average of 117 kids between the two. Young people had new opportunities to explore their creative side and their futures through such activities as art programs and the establishment of a Club garden at the Goodman Street Center. Made possible by a $20,000 grant from the Rochester Area Foundation, the garden included one plot per a group at the Center who was then responsible for the planting, care and harvesting of the plants in their plot. A total of four groups participated. Teens served by the BGCG took part in college visits to tour campuses, learn about programs and receive admissions information. Teens visited Finger Lakes Community College, and also spent time at SUNY Oswego, where they also had the opportunity to eat on campus. Several of Geneva Community Center’s senior citizens took advantage of the summer’s temperate weather to participate in a boat tour in Skaneateles. Also held this summer, the 18th Annual Boys & Girls Club of Geneva Golf Classic raised $16,500, and the Geneva community once again came out to support the efforts of the Boys & Girls Club of Geneva and Family Counseling Service during the 6th Annual Chasing the Sun Run, held at the Geneva Lakefront at the close of the season, on September 19. The BGCG received $2,647 from the proceeds. 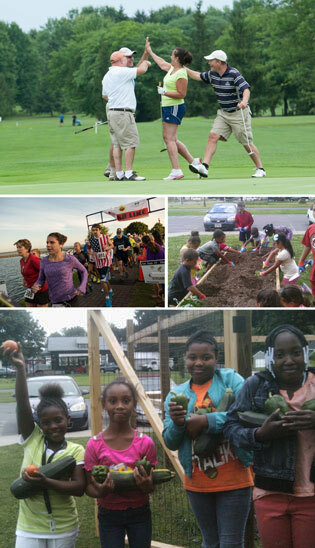 Please continue to support the BGCG and GCC as they look to grow staff, continue valuable programming and be a resource for all people of the community – your donations stay local! The 7th Annual Bowl for the Club will take place April 25, 2015 at Sunset Bowl. For more information contact: Susan Tolleson, susan.tolleson@genevabgc.org, or 315-759-6060.